How do you deliver a 50-point NPS improvement in just 3 years? How do you inspire 86% of your customers to give you feedback? How do you exploit this to see a direct correlation in profit improvement? How do you create a radically new customer-centric culture? We would like you to be our guest at this select, senior executive event. Three years ago, client trust in this particular division of BT was not where it should be. A ‘we know best’ culture of denial had smothered critical comment, supressed constructive feedback and alienated customers. 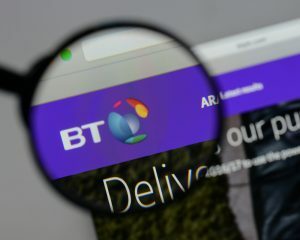 A radical solution was the only way to salvage BT’s reputation. Get it right and massively improve profits. In every respect, this will be a masterclass in CX and financial improvement. Disarmingly honest, Kathryn has a truly inspiring story to share. If CX is your professional focus and passion and yours is a B2B business, please join us at this breakfast briefing. But don’t delay. Places at our breakfast table are free but strictly limited to just ten senior executives. We are certain to be heavily over-subscribed, so please register today.